I will start off by saying, this isn’t my usual cup of tea, not by a long shot, but damn this one got me. 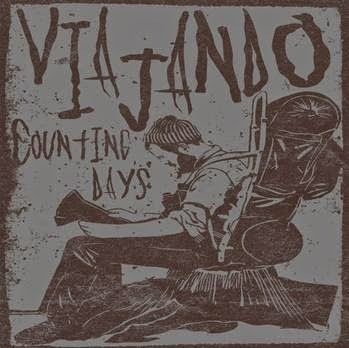 ‘Viajando’, which if my Spanish serves me translates to “to travel, or a journey of sorts” and that seems particularly fitting for the band coming off a recent name change from ‘Stone City’ to their current moniker on the bands first EP, ‘Current Days’. This Charlotte, N.C. trio plays a kind of up beat, almost poppy sludge based hard rock (sludge pop?) with punk esque vocals peppering the songs throughout. Fans of bands such as Aeges and Torche take note because this is absolutely going to land on your radar. ‘Counting days’ kicks off with a fuzzy guitar harmony weaving into the drums and bass to flow with the melodic vocals until almost the end of the song where everyone kind of stops and gets pissed off with a screaming, heavy crunchy outro. ‘Nothing is Sacred’ starts with a nice fuzzy grinding riff and big drum hits right into a clean almost spoken word first verse, which I will add is lifted at least partially from a scene in the first Mad Max film(thumbs way up guys!). Big toms follow and then the punky sort of vocals I talked about early kick in. The singer Taylor has a good screaming/ angry vocal style and I like it when he uses this style more frequently in the songs. The track speeds up towards the end and then cuts right into the next track, ‘Hells Pit’. Sometimes you can listen to a record and tell which songs will transition well in a live setting and ‘Hells Pit’, is exactly that. A repetitive, nice harmony, clean and harsh vocals make it feel like this song does well live with more of the bands mainstream/poppy tendencies. ‘Rogue’ is probably the fastest song on the record with a big fuzz intro build and a cool vocal harmony building into the faster sludge core sound. Kind of cool and leaves me wanting more. 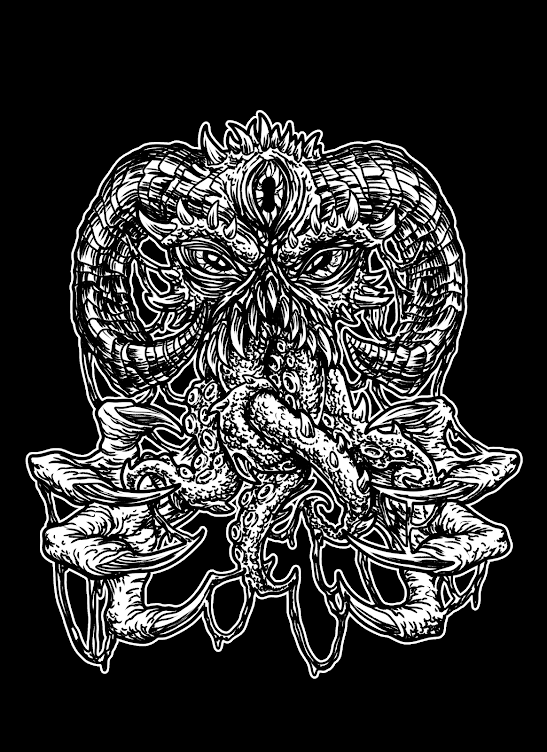 Closing out the EP, is the crusher of a track called ‘Sleeper’, which is heavy and has a southern sludge influence ala COC. This builds into the faster fuzzed out melodic sludge which I mentioned earlier, giving a good representation of what they are doing. I really like how they can go from slow, very heavy tar pit rock into a faster more commercial sound but still with balls, they do this all within the same song and make it work. If you’re a fan of the bands I mentioned before, sludge pop/ radio sludge (I don’t mean this in a derogatory way at all), get into this band! If you’re not a fan, check em out anyway, you might just be blown back a few feet. The big upside is that they are only going to mature from here and definitely put their contemporaries on notice. These guys are really good and fun doing their own thing and I really like it despite not being into this exact sort of music. Favorite tracks are ‘Nothing is Sacred’ and ‘Rogue’.